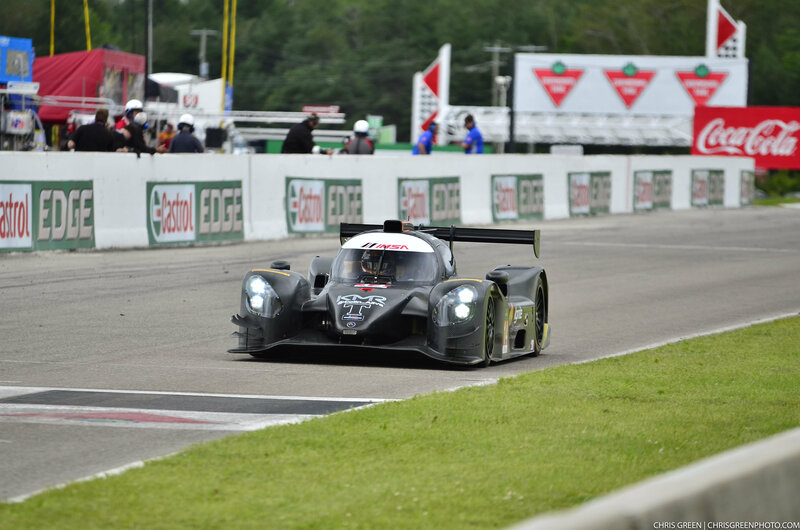 Bowmanville, Ontario (9 July 2017) – After a team effort that stretched from Central Ontario to Indianapolis, Kelly-Moss Road and Race (KMR) moved into the IMSA Prototype Challenge presented by Mazda championship points lead as Colin Thompson scored two second place finishes at Canadian Tire Motorsport Park. 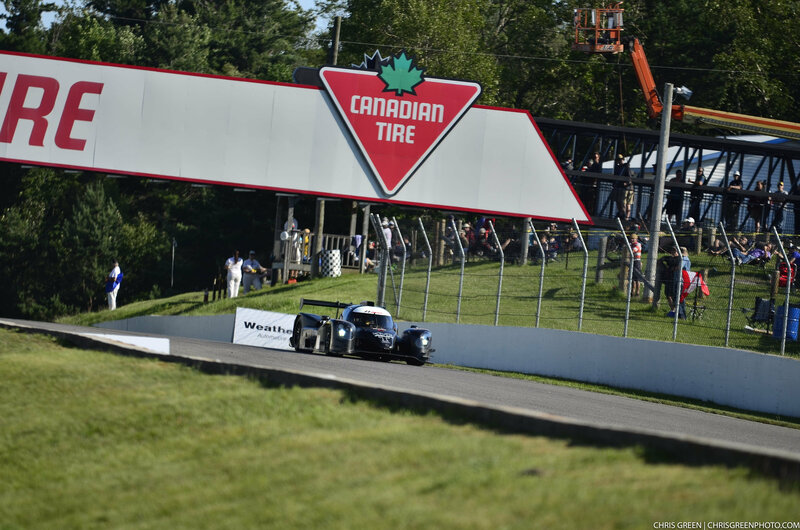 Entering the race weekend north of the border fresh from a breakthrough run to victory last weekend at Watkins Glen for Thompson in the No. 14 Ignite / Mattoni Water / Edoardo Borrelli / Ernst Kelly-Moss Road and Race Benz / Sherwin Williams / Replay XD Norma M30, KMR was looking to convert his consistent finishes into a boost in the championship standings. Unfortunately, the weekend plan was thrown out the window following an off-course excursion that saw Thompson suffer extensive damage to the Norma M30. 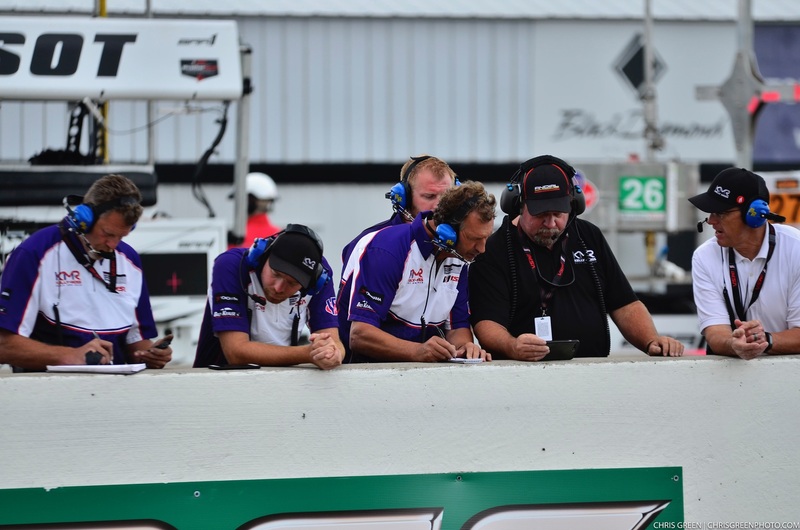 With a sparse spares inventory on hand at CTMP, the team quickly realized that the needed parts were in Indianapolis. Fortunately, KMR was also competing in PCA Club Racing action in the Indianapolis with an event at Putnam Park. The crew scrambled from that event to secure the parts needed, and headed north towards Toronto on Friday night. At the same time, Alex Stone (KMR Assistant Competition Director) and John Thompson, Colin’s father, headed south to meet the truck and pick up the parts in a late night exchange in Toledo, Ohio. 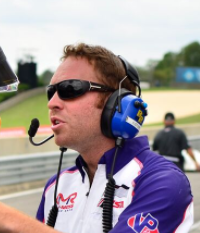 Driving through the night to get back to the track with the needed parts, Stone and Thompson brought what the Norma needed and the KMR crew had the car ready to go in time for qualifying on Saturday morning. 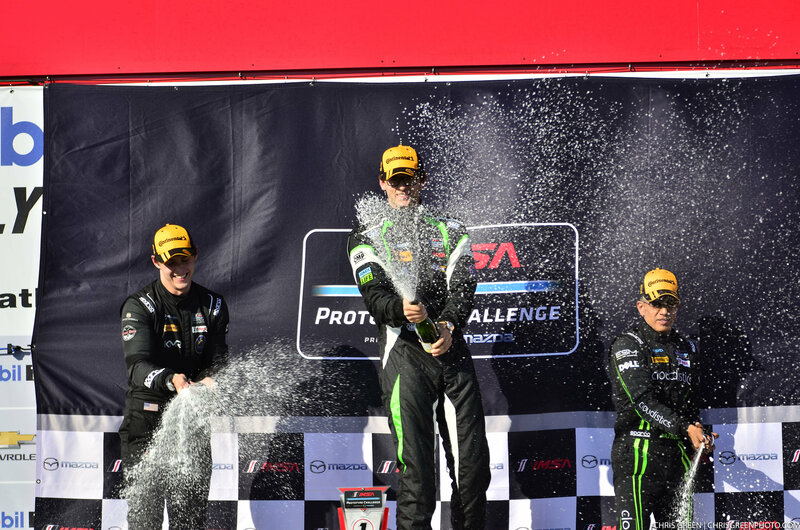 That effort saw Thompson score front row starting spots for both races, which he duly converted into two runner-up finishes to move into the lead of the championship with seven races yet to run.